Limb-girdle muscular dystrophy 2D (LGMD 2D) is the most common form of sarcoglycanopathies, which include autosomal recessive LGMDs caused by various molecular defects in the genes encoding sarcoglycan family proteins (α, β, γ, and δ). LGMD 2D occurs owing to mutations in the SGCA gene that encodes α-sarcoglycan. In general, it is difficult to distinguish clinical features of LGMD 2D from ones of both other pseudohypertrophic LGMDs and Duchenne/Becker muscular dystrophy (D/BMD). In the present paper, the study of LGMD 2D based on the analysis of the frequency of recurrent SGCA gene variants (c.229C>T, c.271G>A, and c.850C>T) in three patient cohorts with progressive muscular dystrophy manifesting itself after a normal motor development period was conducted. No LGMD 2D patients were found within the cohort of patients with clinical diagnosis of Emery–Dreifuss muscular dystrophy. The percentage of LGMD 2D patients was no less than 1.9% in the patient cohort with clinical diagnosis of LGMD, while LGMD 2D accounted for no less than 0.6% in the patient cohort with clinical diagnosis of D/BMD. It is noteworthy that, in these two cohorts, the most common SGCA variant in the world, c.229C>T, and a variant found in only one Italian family, c.271G>A, account for almost the same number of affected chromosomes. 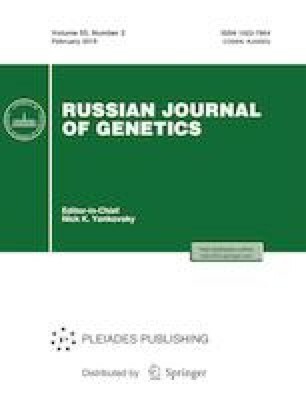 Therefore, LGMD 2D patients from Russia differ from LGMD 2D patients from all over the world in the presence of two major variants of this gene (c.229C>T and c.271G>A). The information value of the test system for the detection of three SGCA gene variants (the capability to reveal at least one mutant allele) was on average rather high (70% in the group of patients with LGMD and 50% in the group of patients with D/BMD); therefore this test system could be recommended as the primary step of LGMD 2D molecular diagnostics in patients with the corresponding clinical features. Statement of compliance with standards of research involving humans as subjects. All procedures performed in studies involving human participants were in accordance with the ethical standards of the institutional and/or national research committee and with the 1964 Helsinki Declaration and its later amendments or comparable ethical standards. Informed consent for conducting the study was obtained from all patients, and in the case of minor patients, the consent was obtained from their parents or legal representatives.